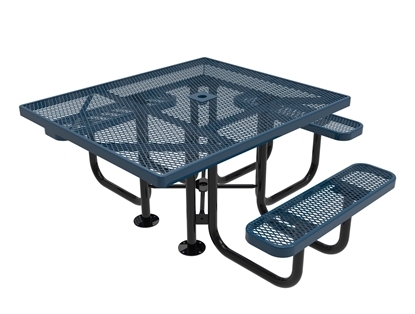 Park Tables carries all types and styles of commercial grade picnic tables. Ships direct from our factory to you at unbeatable prices! Browse our full categories of picnic tables today and save! 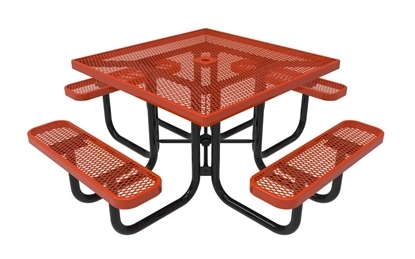 ELITE Series Rectangular 6 Foot Thermoplastic Steel Picnic Table, Portable, Seats 6 adults, 191 lbs. 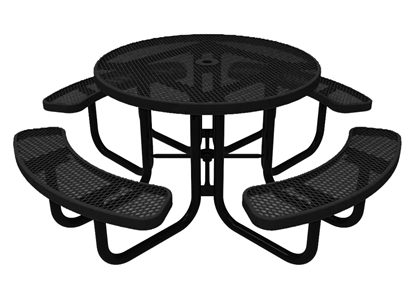 ELITE Series Pedestal 6 Foot Rectangular Thermoplastic Steel Picnic Table - Quick Ship - Surface and Inground Mount, Seats 6 Adults, 237 Lbs. 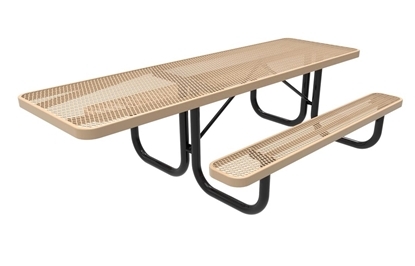 ELITE Series Double Pedestal 8 Foot Rectangular Thermoplastic Steel Picnic Table - Quick Ship - Surface and Inground Mount, Seats 8 Adults, 326 Lbs. RHINO Rectangular 8 Foot Thermoplastic Steel Picnic Table, Portable, Seats 8 adults, 264 lbs. 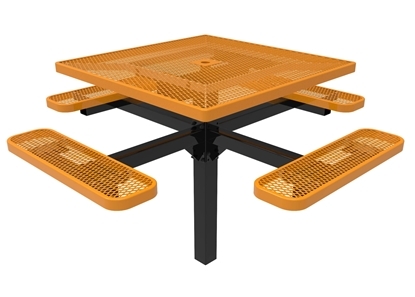 Quick Ship Commercial Picnic Tables from Park Tables include thermoplastic, concrete, recycled plastic, and aluminum picnic tables that ship in 1-3 business days. Our picnic tables are commercial quality used by parks, schools, apartment communities, grocery stores, corporate offices, sports complexes, fast food restaurants and food courts. 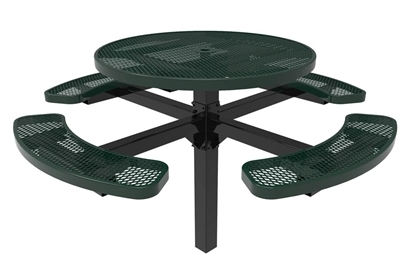 Park Tables has a variety of picnic tables such as round, square, rectangular, octagonal, hexagonal, and oval picnic tables. 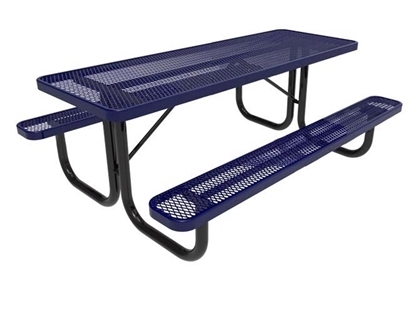 Commercial Picnic tables for kids give children picnic tables just their size. Kids picnic tables are safe at school and food courts. 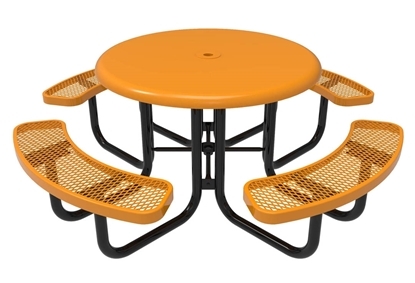 These park tables for kids are found at Daycare centers, elementary schools, Play schools and Kindergarten schools. The table size and attached benches make these tables child friendly picnic tables keeping the kids together for safe and functional playgrounds. 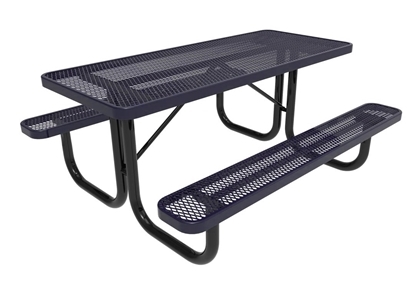 Aluminum Picnic Tables for sale are made from commercial grade aluminum with galvanized frames to withstand public exposure. Aluminum Planks are used to make a strong picnic table that is lighter than other styles. ADA Handicap Picnic Tables meet ADA requirements for picnic areas. Wheelchair Accessible Picnic Tables allow for easy access for the handicap. 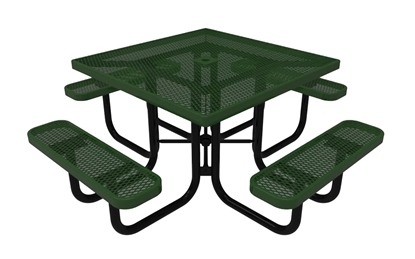 Picnic Table Frame Kits and Accessories provide picnic table plans to add tops and seats to these commercial picnic table frame. 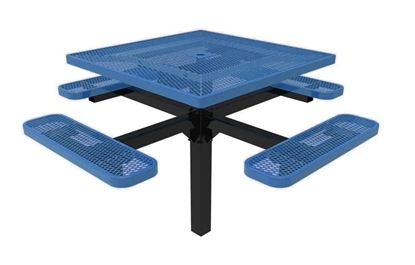 Just add your own tops and seats to our Steel Picnic Table Frames to stretch your budget.